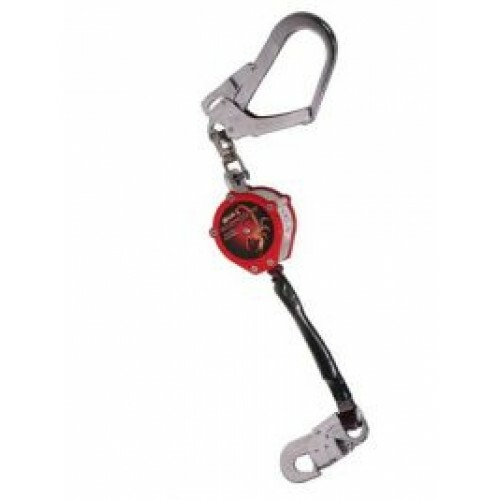 2.8m Miller Scorpion personal fall limiter with snap hook and swivel scaf hook. Light and compact, the self retracting fall arrest block SCORPION offers greater safety compared to the traditional fall arrest lanyard as it eliminates the need for extended fall distance clearance. With a maximum working capacity of 2.8m and thanks to its high durability cover, it can be used in all configurations.